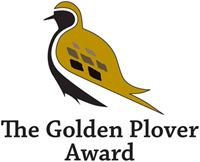 The Heather Trust and GWCT (Scotland) have announced that they will be working together for a third time on the Golden Plover Award for Moorland Management after an extremely successful year for the award. For a second year, Savills will be the lead sponsors. Applications for the 2015 award are welcomed from any owner or manager of land in any part of Scotland who can demonstrate a real commitment to sustainable moorland or upland management. Applications from the remoter parts of Scotland are encouraged, as are applications from individuals; this is not just an award for estates. The theme for the Award is peatland management and restoration; applicants will be expected to demonstrate how they are managing their peatland to improve its condition.